How about having a movie night tonight..for FREE?! 😉 You can score a FREE Redbox DVD Movie Rental when you enter the code PLKMP982 on Redbox.com! Make sure to enter this code on their website, I don’t think it is valid when used directly at the kiosk (although I haven’t tested it). Valid through April 30th. 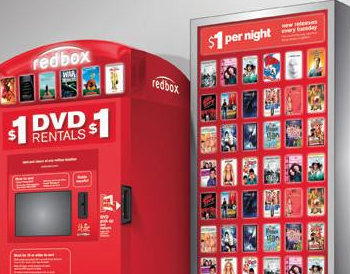 Click here to find a Redbox near you!